The University of Texas Southwestern Medical, Department of Neurology and Neurotherapeutics is seeking an outstanding academic Neurologist to join their Neuromuscular Group at an established center with state-of-the art facilities.Applicants can expect an opportunity for a well-balanced career in teaching, research, and service in Neurology. We are seeking candidates that have a strong interest in Neuromuscular Neurology and autonomic disorders. Candidates must be eligible for medical licensure in the state of Texas. The successful candidate should have completed a Neuromuscular fellowship and should be board certified by the ABPN for adult or child neurology. 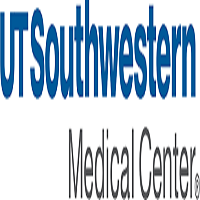 Academic rank will be commensurate with academic accomplishments and experience.UT Southwestern Medical Center ranks among the top academic medical centers in the world. Our distinguished faculty includes active Nobel Prize winners. Nearly 4.200 medical, graduate, and allied health students, residents, and postdoctoral fellows are trained each year. The Dallas area has world class quality of life options, with more than 175 museums and art galleries, premier performance halls, numerous parks, lakes, golf courses, and seven professional sport franchises.